If you want to get away from the seemingly endless parties, you should head to Little Venice for a break! Sure, there are restaurants, cafes, and bars here, but they are chic and appeal to a more sophisticated crowd than some of the other places on the island. Not only that, but the area is stunningly beautiful and has some great views of the nearby water. 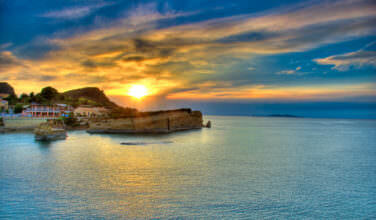 This is also one of the best places to go during sunset. In fact, some of the bars and restaurants have a beautiful view during sunset, as long as you arrive early enough to secure a great table that is located outdoors. There are several museums in Chora (Mykonos Town) to enjoy during your visit and they’re perfect for those who want to learn a little bit about the culture of Greece or of the island of Mykonos. 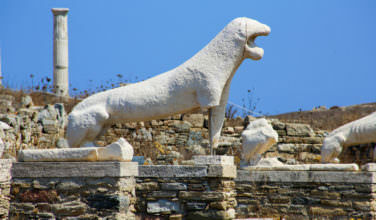 The Archaeological Museum displays artifacts that were found on Mykonos and some of the nearby islands as well as giving some of the history of the area. The Folk Museum talks about the culture of the island and there is also a museum that features the marine life located in the Aegean. 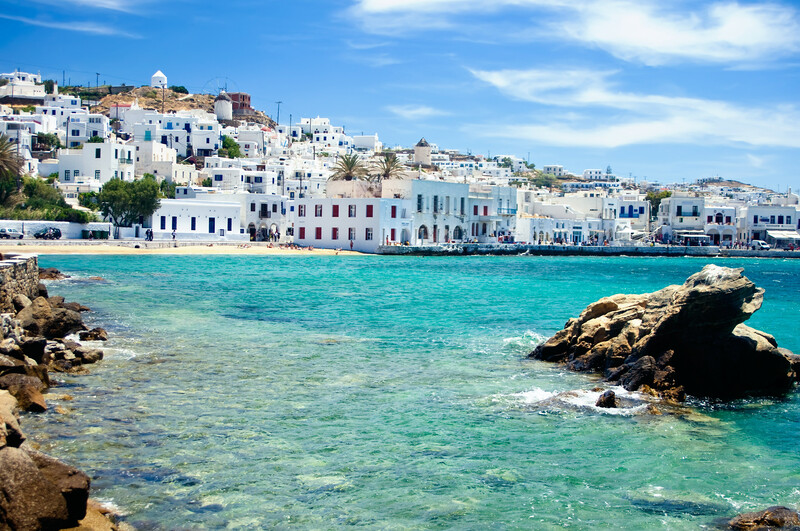 One thing that Mykonos Town, or Chora, is especially known for is its iconic windmills. Whenever people return from a trip on the island, they inevitably have plenty of photographs that feature them. These windmills are so common that no matter where you are in Mykonos Town, you are sure to catch a glimpse of them as long as you are high enough and have an unobstructed view. Most of these were built be the Venetians in the 1600’s, and gazing at them gives you a chance to witness a part of the island’s rich history. Technically speaking, there are no beaches right in Chora. 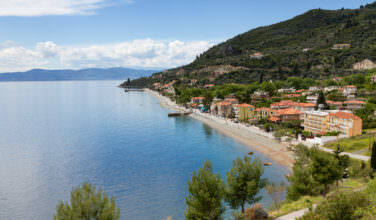 However, it is still really convenient to have a beach day as long as you visit the Megali Ammos Beach! You can easily access this beach by car or bus, and the beach itself is about a ten-minute walk from the nearby bus stop. There are plenty of sun beds to rent so all you need to do is bring your money and beach clothes and you’ll be all set to have a great beach day! It’s also sandy and scenic and the water is warm enough to enjoy a nice swim. 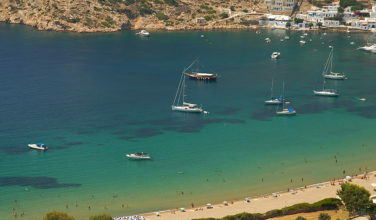 As you can see, there are plenty of things that you can do during your stay in Mykonos Town (Chora).